Finally, a Pre-Shave, Shave, and After Shave all in one. If you're like me, less steps to the finished product, speed and comfort are all winners. Heck, getting ready for church on Sunday when I was single meant grabbing the closest clean shirt and running out the door ( ....what do you mean it looks wrinkled? Those are supposed to be there). If I can take care of three things at once and speed up the process, saving a little time and some cash at the same time, Bring it on. Okay, you want to know, what's in it? A little Oat extract, some lubricants, Clove oil, Ginger , Eucalyptus, and some Manuka Tea Tree Oil. This stuff gets great reviews because it smells good, feels good, and it works! 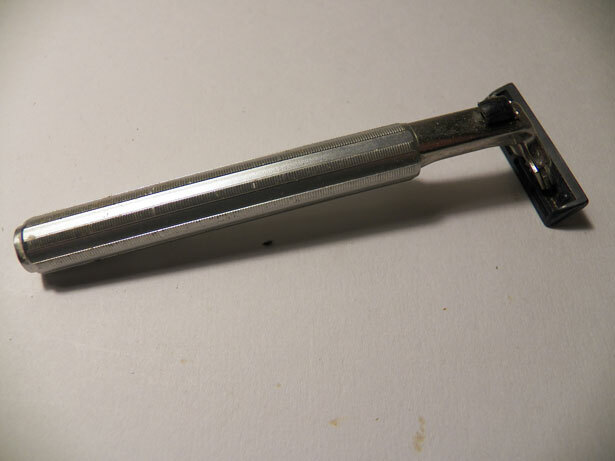 "The best shave I have ever experienced by far. No more nicks and cuts and best of all I no longer get razor-burn. " "It is my shaving gel of choice now. " 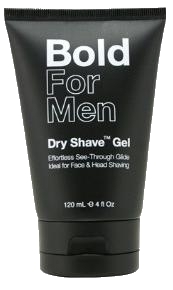 "The Dry Shave gel is designed for the Face but is ideal for the head. Athletes are also using the Dry Shave™ as their shave prep of choice, turning body shaving – normally a messy and difficult chore – into an easy and convenient grooming routine." Look Good, Smell Good, Feel Good! You want to look good, smell good, and have your partner thinking those things about you too, so get this product! It's a tea tree oil shave for men. Over on the Mens shaving forum, Badger and Blade, there was a conversation asking where to get a tea tree oil shave product, but most of the comments are make your own or get a product with a name like "Mama Bears ...." Are you kidding? What man wants a product named "Mama Bears" in his shaving kit? Or else you'll continue to have nicks, cuts, razor burn, and little bits of toilet paper stuck to your chin to embarrass you at home and at the office. Try a tube of this Tea Tree Oil Shave cream, You won't be sorry.